Use the sampling diverter for autonomous production monitoring on older or not yet automated tablet presses. The tablet sampling is controlled by the Ph21 software and is not linked to the press. However, if the tablet tester detects T1 or T2 violations, it is possible to send a stop signal to the press, or use an audible alarm lamp trigger to alert operators for attention. 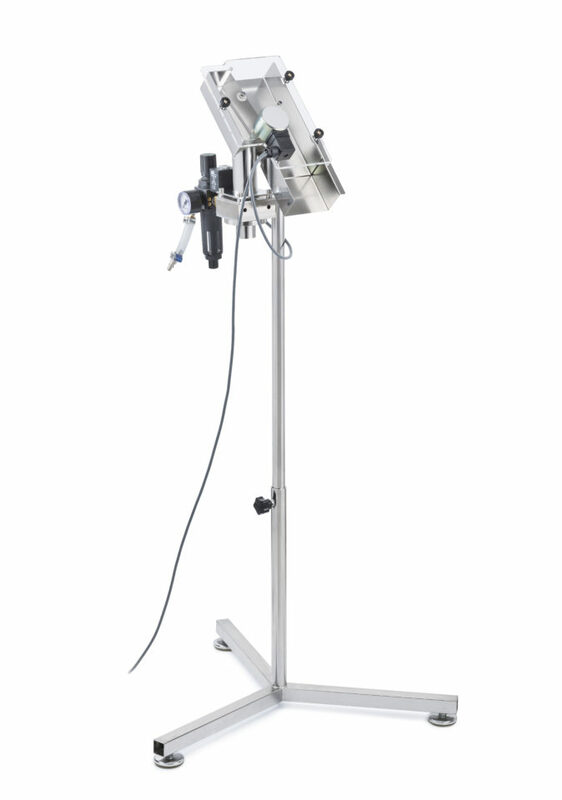 The height of the sampling diverter is adjustable to the outlet of the tablet press. 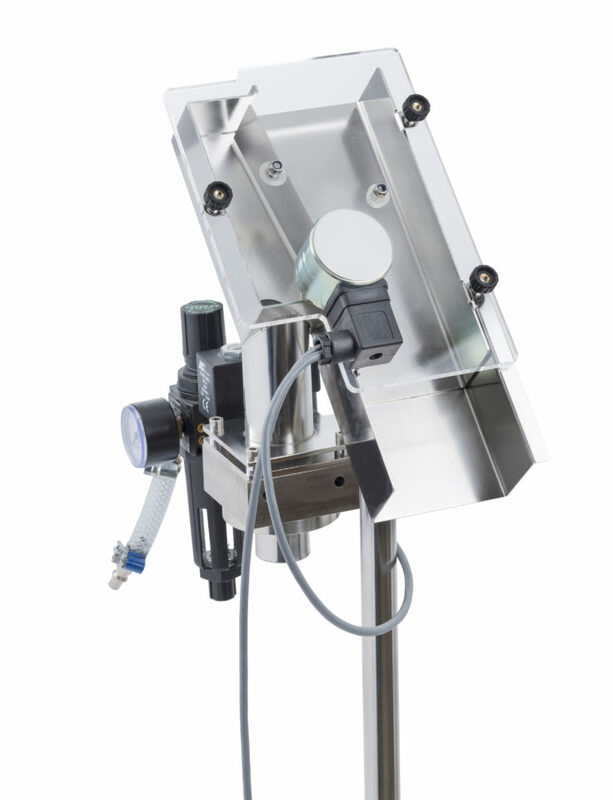 It can be connected to the ATS air transport system or just to a whose to deliver the tablets by gravity to the tablet hardness tester or weighing system.